Windy Hill is looking for volunteers! Friday Feast provides monthly dinners for our older adult residents and is a meaningful, yet flexible, way to make a difference in their lives. Volunteers sign up in advance to prepare meals for 3 to 5 residents as frequently as works in their schedules – this can be once a month or once a year. 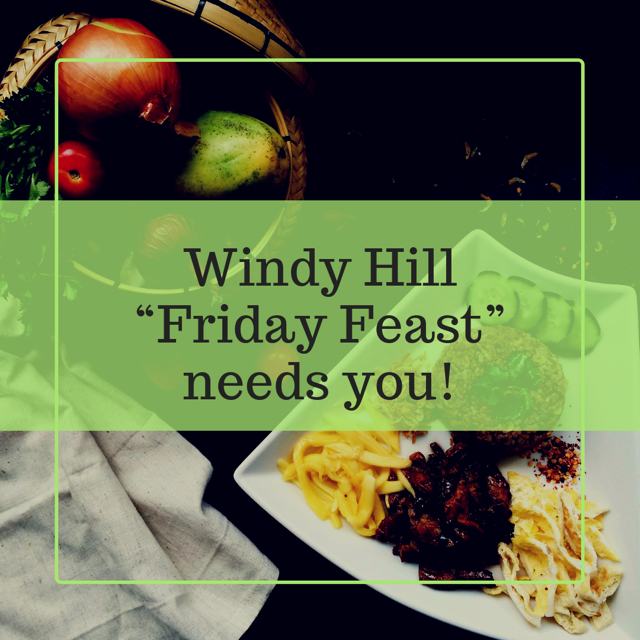 If you are interested in helping out, please email Donna Gravely at donnagravely0000@gmail.com or call Windy Hill Foundation at 540.687.3997 for more information.